Join Jonathan Hawkins of Little Lawnmowers and Thayer Naples at Casa for an evening of fingerstyle guitar classics and originals! 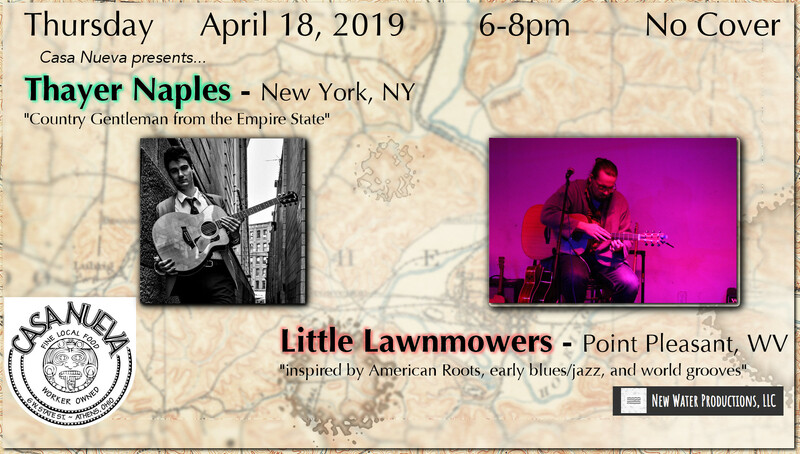 The accumulation of original music influenced by American roots and world grooves, utilizing acoustic guitar, voice, and live loops, Little Lawnmowers delivers an emotional musical experience ranging from the ambient to intense. Fingerstyle guitarist bringing you original music plus covers. An exciting blend of country, jazz, rockabilly and more! Inspired by classic American songwriters.